Amazon offers eBooks spanning across literature, fiction, non-fiction, romance, comics, Indian languages and more. With Kindle eBook offers, the prices start as low as Rs. 9. You also get free Kindle eBooks for reading on desktop & mobile app. Whether just for the love of reading or to prepare for competitive exams - MBA, UPSC, Defence, Finance, railways etc. you can take help of eBooks. And when it comes to eBooks, how can you not mention Kindle eBooks. The books you purchase appear in the Kindle app. Open the Kindle app on your phone or tablet to see all the eBooks in your Amazon Library. Kindle eBook offers India help you save upto 80% OFF on titles across different categories. Also, check Amazon Pay recharge offers to save up to Rs. 100 this month. Grab 60% OFF on Popular eBooks With Kindle Monthly Deals. And buy popular eBooks starting Rs. 9 Only. To start your reading experience you can try Kindle Unlimited with a free 30-day trial. Amazon has also launched Prime Reading service in India. Below, we give more details about the service. Choose a genre Fiction, Romance, eTextbooks etc. Kindle App is available to download for free and lets you read any Kindle e-book. Even a lite version of the Kindle App is available. Kindle Cloud Reader is also available for offline reading. While browsing your favorite books on Amazon, you can also send a free sample to your Kindle Cloud Reader. If you are not reading on Amazon thinking that you need to buy a Kindle device. Here is something you need to check. Reading Kindle books on your laptop or desktop is simple. Sign in to Kindle Cloud Reader with your credentials. After you Sign in to your account, you can browse the e-books. Go to read.amazon.in to open Kindle Cloud Reader. Your Kindle Library is displayed on the main page. Click on a book to start reading. Kindle Unlimited offers access to over 1 million titles. Read any time, anywhere on any device. Kindle Unlimited plans start from Rs. 169 a month. Kindle unlimited subscription doesn't come under the benefits of Amazon Prime membership. However, Amazon Prime Reading was launched in India. 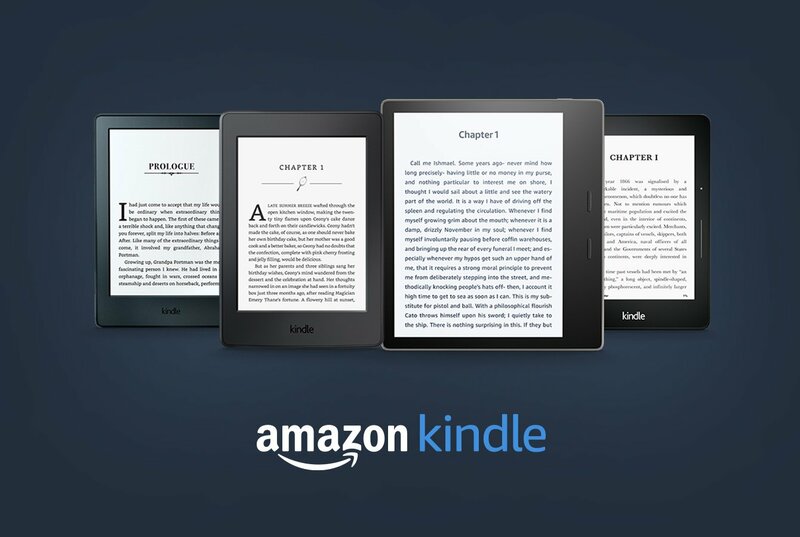 The service lets Amazon Prime Subscribers read from hundreds of ebooks at no extra cost. Amazon Prime reading can be availed on Kindle ebook reader, Kindle app or the Amazon app. The service was recently launched in India. With Kindle Audible, you can read the book and listen to the narration together. The Audible Narration is available on select books. The audiobook service comes with a free 30 day trial for all users and a 90-day trial for Amazon Prime Members. Apart from Audiobooks, you also get radio and TV programmes and audio version of magazines and newspapers. The audible monthly subscription plan is available for Rs. 199. While the 6-month & 12-month subscription plans are priced at Rs. 1,345 & Rs. 2,332. The subscribers can keep the audiobooks present in their Library even after canceling your membership. Now, take a look at popular Kindle Devices in India that take your eBook reading experience to the next level. Amazon Kindle Paperwhite is available in different variants which you can buy depending on your budget and preferences. Check Amazon offers online on Kindle devices, smartphones, electronics and more. Display - 6” display with 300ppi, 16-level grayscale. Weight - Wi-Fi: 6.4 oz (182 g) Wi-Fi + Free 4G : 6.8 oz (191 g) . On-Device Storage - 8 GB or 32 GB; holds thousands of books. Cloud Storage - Free cloud storage for all Amazon content. Amazon Kindle Store is divided into various section including two separate sections for Prime Reading and Kindle Unlimited. Other sections of Kindle Store are Kindle exam central, kindle eTextbooks, Indian language eBooks, Free Kindle Reading apps. You can buy Kindle Books and read on any device of choice.